-- Select a Size/Color -- 10" Length - Out of Stock! 12" Length - Out of Stock! 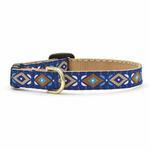 The bright and unique coloring of the Aztec Blue Cat Collar by Up Country will have your cat standing out anywhere they are! Safety and style are our hallmarks and the same care and attention we give to our dog products can be found in our Kitty Collection. Lightweight, flexible nylon webbing and our signature artist designed ribbons are fastened with a breakaway clasp. Our breakaway clasps will release under pressure to assure safe outdoor play, but it is durable for daily wear. 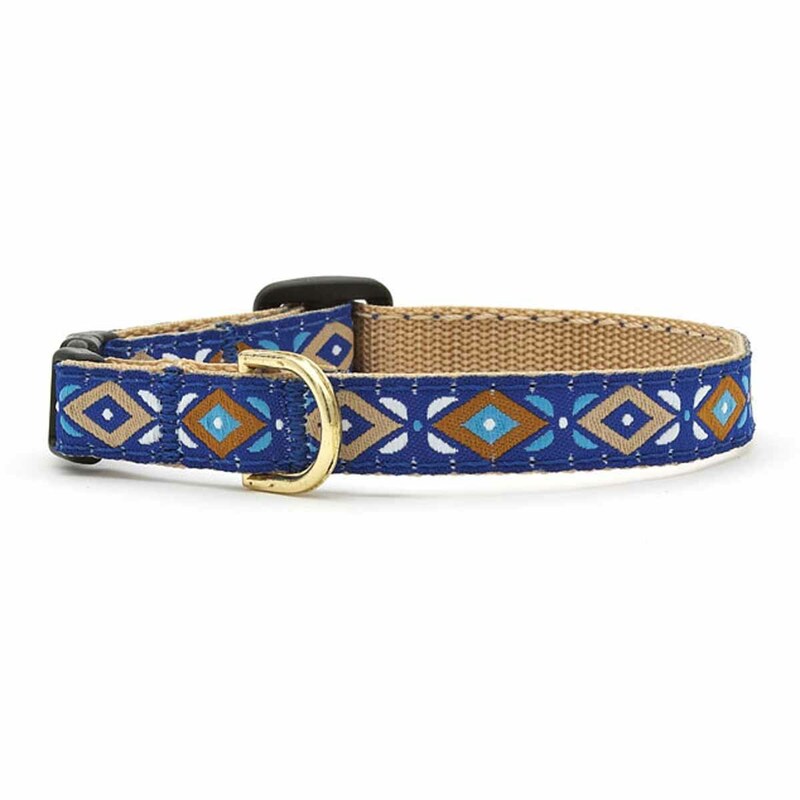 Please be aware that constant scratching will cause these collars to fray. Made in USA. Machine wash cold gentle cycle, drip dry. An excellent experience every time!!!!! !